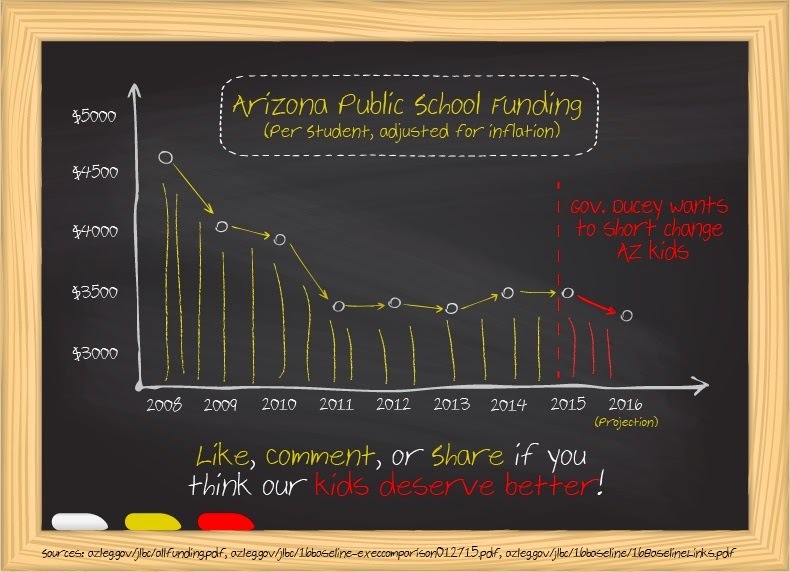 If the governor gets his way, Arizona schools will be forced to face budget cuts…again. He is playing a shell game with education funding. And it’s a game that teachers and students will lose. The governor’s proposed budget would swipe another $13.5 million from K-12 education in 2016; this follows years of Republican education budget reductions. Based on the governor’s plan, every district school would lose $12.30 per student next year. That adds up quickly. School districts rely on this money to pay for things like teachers’ salaries and school supplies. At a time when districts are laying off faculty, investing in schools must be a priority. Any real economic recovery plan includes funding for education. Arizona students must be prepared for higher education and 21st century jobs. The governor’s budget undercuts the state’s ability to achieve long-term economic stability. 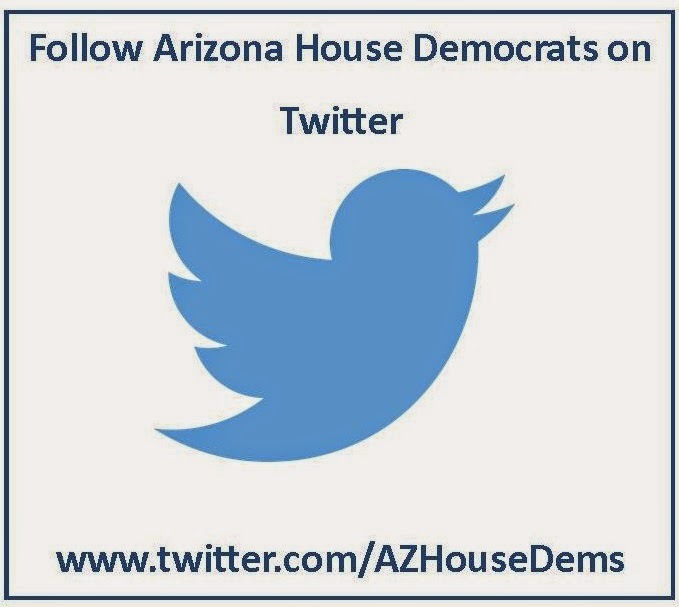 Make your voice heard; tell the Republican-controlled Legislature that you want a budget that prioritizes education and a strong economy. 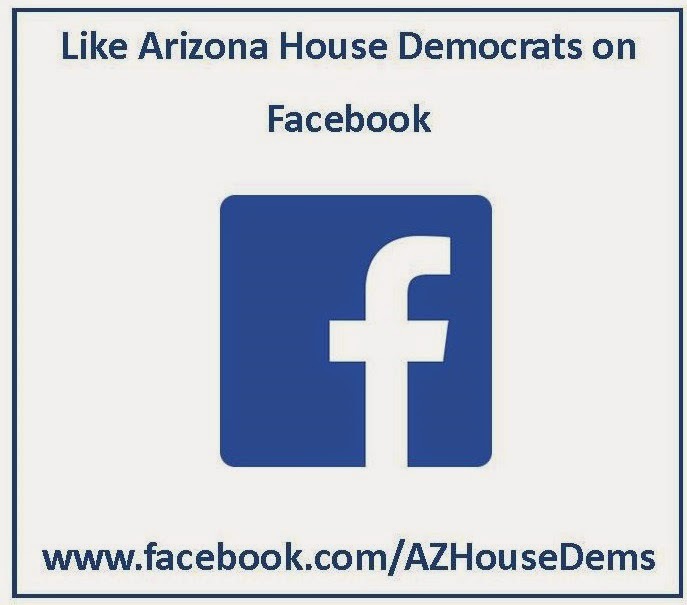 For more information on how to get involved, follow us on Twitter, like us on Facebook and click here .